A quickie post today! 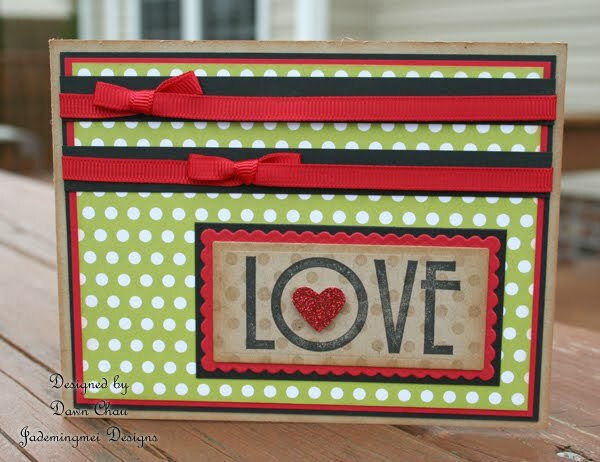 I'm going to try my hand at the Make it Monday Challenge with PTI, so I will keep this post simple today. This is a fun new stamp set I purchased from SU! at a recent workshop. 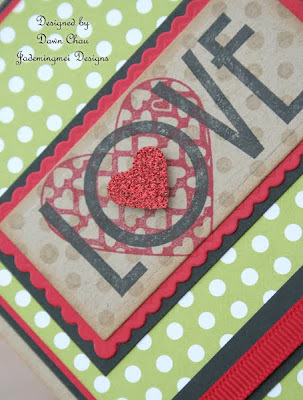 I combined the stamp images with a punched heart from the new red glitter paper. 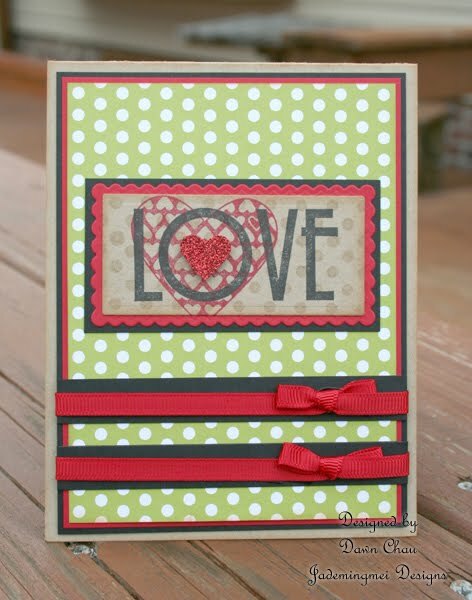 Simple, thin, grosgrain ribbon adds a nice accent to the lime green polka paper. You know how much I LOOOOOVE polka dots! Alrighty, here's to wishing I can make some magic with glitter strips...glitter is not my favorite to play with, but I will give it a go! I LOVE it...get it? LOVE it! Oh so pretty and cheery, Dawn. You're always inspiring. Can't wait to see your Make it Monday Challenge. I'm working on that as well.